Attacks against journalists and independent media are not a new phenomenon. With time, however, the nature of such threats has evolved and the attacks have become more insidious. More often than not, they receive very little attention, and are harder to track, because of their litigious nature. 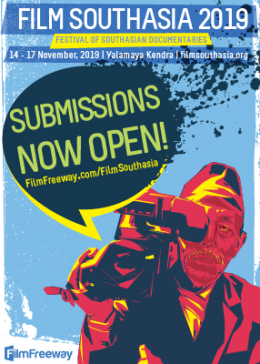 With this in mind, we have decided to begin documenting such legal attacks against journalists in Southasia, in partnership with the South Asia Media Defenders Network (SAMDEN). For this, we also wish to collaborate with you, our readers. 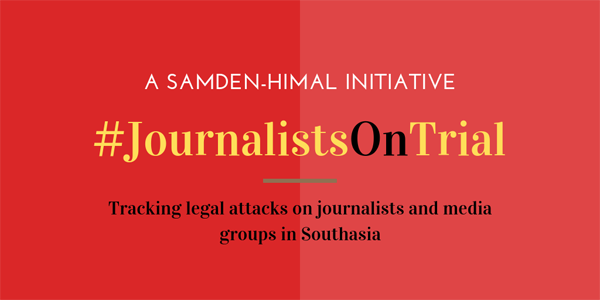 #JournalistsOnTrial is intended to be a starting point for broader discussions around the nature of intimidation that journalists face, and we begin with the following five countries: Bangladesh, India, Nepal, Pakistan and Sri Lanka. There is a growing pattern of governments and corporations in Southasia – and indeed, around the world – of abusing laws on cybersecurity, national defence, and defamation to stifle journalistic work. 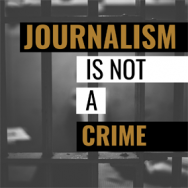 Governments rely less on overt censorship, and instead pursue ‘legal’ routes – including false and malicious cases – to attack journalists and media groups, circumventing the usual protections afforded by press laws. Large corporations, meanwhile, have taken to bombarding journalists and media organisations with long-drawn-out, exhausting and expensive lawsuits to drain their already limited resources. Reporting on this issue is inadequate, partly because such lawsuits are not directly related to journalistic work. (For example, launching a financial investigation against a journalist as reprisal against their work.) Often, it is extremely difficult to determine whether the case is a legally sound one, or an abuse of the law. However, a simple documentation of such cases can illustrate the pattern behind such attacks, which readers can draw their own conclusions from, for it is often the process and not the outcome of such legal attacks that is the killer. This is where we hope you can help us. 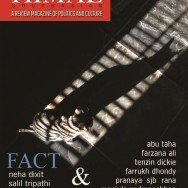 If you know of cases of journalists or media groups from the five countries that we are starting this project with – Bangladesh, India, Nepal, Pakistan and Sri Lanka – who are facing threats or prosecution for their reporting, whether from governments, private groups or individuals, and have at least one source corroborating such information, please fill the form below (also here) or email contact@samden.org. 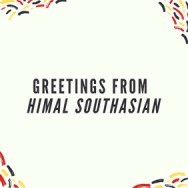 Also, do share this note with those who might be interested and please feel free to write to us with comments and suggestions on our Facebook and Twitter pages or email us at editorial@himalmag.com.